In 1851 branch colors were introduced as accents to the U.S. Army uniform and among the uniform items that displayed a branch color were the pompons worn in the top front of the dress cap (shako) and the cap band, which was the lower panel of the cap itself. The 1851 cap looks rather ridiculous to modern eyes but was military fashion during the period and was borrowed from the French Army. The U. S. Army also had a practical streak and the fact of the matter was that the cap did not hold up well in the field and soon became rumpled and battered looking. Several photographs taken in the west of soldiers wearing the 1851 cap shows that however ridiculous a new model 1851 cap might look, one that had seen hard service looked even more so. There was also an additional tension within the U.S. Army. France set military fashion during the period but she was also an imperial power ruled by Emperor Napoleon III. Many people in the United States believed that the U.S. Army uniform should reflect the fact that the United States was a republic and should not copy the fashions of an imperial power. In 1848 revolutions swept Europe demanding more democratic governments and social reforms. The powers to be crushed the revolts but not before those sympathetic to the revolution organized military forces. One trend setter associated with the movement was Lajos Kossuth, who popularized a broad brimmed hat as a symbol of the revolutionary forces. In 1855 the United Stated Congress approved the creation of two regiments of U.S. cavalry. A panel of officers was appointed to consider the uniform and accouterments of the unit and they suggested a new item of headgear that had a resemblance to the Kossuth hat and was unlike headgear used by the imperial European powers. In 1858 it was decided to totally drop the model 1851 cap and replace it with a hat based on the 1855 cavalry hat. In order to continue the use of branch colors on headgear color accents were added in the form of the hat cords. The hat cords themselves had no practical function beyond displaying the branch color. They remained in use until 1872 when the unpopular dress hat was dropped and another style military cap adopted. 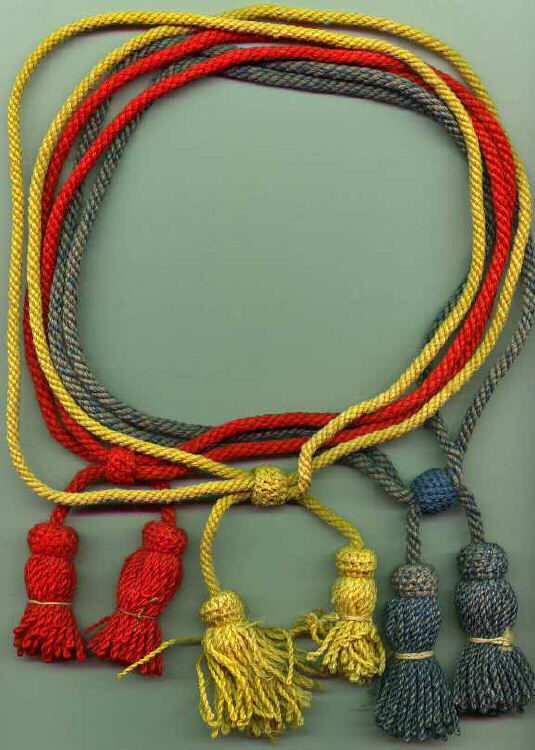 A large number of unused hat cords remain in stock and were acquired and sold by the firm of Francis Bannerman (1851-1918) in the late 1800s and early 20th Century. They remain one of the more common original Civil War artifacts available to collectors.